Aluminum can be bent easily for use in various applications. One forming method employs a press/die and a punch. Plates and extruded structural angles are formed through various bending methods -- pure bending, guide-bending, or wind-bending. In these methods, the material to be drawn is placed on a die and then drawn into its hole with a punch. Joining is a key process used when manufacturing safe structures with complicated shapes. Four methods are used to join aluminum parts: welding, brazing, mechanical joining, and bonding. Arc welding is frequently used with aluminum. This type of welding works by generating an electrical arc between the material and the electrode. 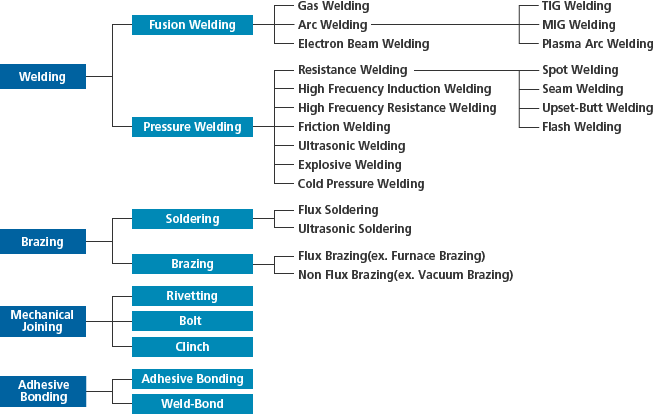 TIG and MIG are two types of arc welding commonly used with aluminum. In this joining process, an alloy having a lower melting point than the materials to be joined is melted between two materials. Mechanical joining uses rivets, bolts or similar connectors, or connects materials by using bent plates. In this process, a bonding material is applied to the surfaces to be joined together. 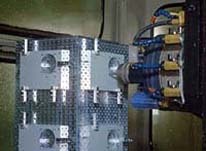 Machining involves finishing products with tools, such as drills, turning tools or end mills. Machining centers, milling machines, lathes, and other machine tools may be used. Items may be cut with shears, disc saws, band saws, jigsaw, or similar machines. 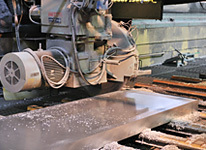 Numerically controlled saws allow large plates to be cut, even into circular or irregular shapes. 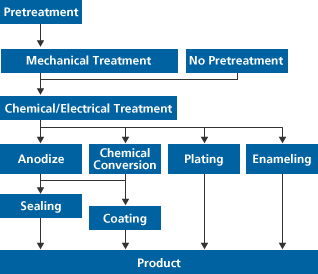 Typical surface treatment methods for aluminum include anodic oxide coating, painting, and coloration.